Cloud is a BACP accredited and registered counsellor/psychotherapist and supervisor. She has over 25 years experience in this field and has a private practice in Walthamstow and at London Bridge. 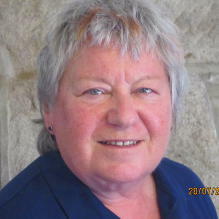 She was involved in setting up “Threshold”, a women’s community counselling centre in Brighton and also worked as a Clinical Associate with Pink Therapy for 7 years. Prior to her work as a therapist, Cloud worked in education for 23 years where she ran a large Personal and Social Education department in a multi cultural inner London Comprehensive School. She also has particular experience and insight to offer in the area of minorities, and working with diversity and difference, both with students and in her supervision of students’ clients on placement.